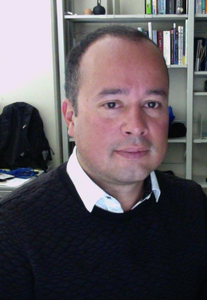 Julián Villegas is Professor of Computer Arts at the University of Aizu in Japan, teaching computer graphics, spatial sound, sound and audio, and computer music. His research interests include speech intelligibility, interdisciplinary research on music and sound, psychoacoustics, and binaural audio. He received a Sc.B. in Electronic Engineering from Valle University (Colombia), M.Sc. and Ph.D. in Computer Science from the University of Aizu.